Graceland is an extremely bleak, yet very interesting film, that builds suspense through a tight story and quality acting rather than gimmicks. The story of a man fighting for his loved ones, doing whatever it takes to better their lives or to save them from the peril they’re in, is far from revolutionary in film. In fact, some variation of that tale is at the core of almost any story. After all, what serves as a greater motivator than love? With Graceland, writer/director Ron Morales takes that story but puts a very dark and very haunting spin on it. 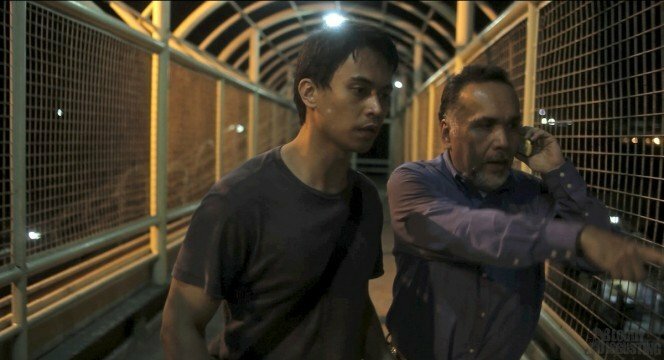 Arnold Reyes stars as Marlon, the driver/assistant to a powerful and corrupt congressman, Chango (Menggie Cobarrubias), who frequently solicits underage prostitutes. Marlon, though disgusted, goes along with Chango’s scummy behavior since he has little in the way of other options. Between a sick wife and a daughter he has to support, he’s barely getting by, and unemployment isn’t an option. When his daughter and the congressman’s daughter are kidnapped, he’s desperate for a way to get them back. Naturally, that description will lead many to instantly draw comparisons to Taken. While that’s fair, and the two films certainly share elements, Graceland is a much more realistic, much grittier portrayal of the issues a man in that situation would be faced with. To the say the film is bleak is a major understatement. The only character that remains likable throughout the story is Marlon, as his good intentions shine through all his actions, even when those actions are morally questionable. His love for his family is great, and that’s a motivator anyone can get behind. Other than Marlon though, from the police to Chango’s wife, there’s hardly anything to like about any of the characters. It’s a world of nasty people, and Marlon is stuck in the middle of it. Morales doesn’t attempt to infuse any optimism in the film, which weighs heavily on it. 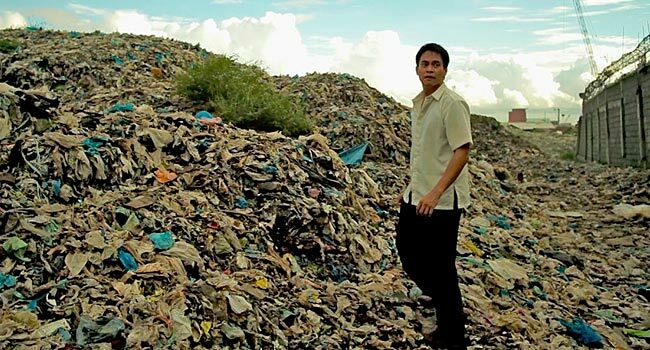 The result is an excellent portrayal of hopelessness in an impoverished area, but that hopelessness is so grating and so prevalent, that some viewers may shy away simply since they aren’t able to handle such a dreary story. The film is full of twists and turns, and the pacing is excellent. There’s hardly a down moment for a breath to be caught, and that leads to a fully thrilling movie. While some filmmakers may have opted to bludgeon the audience with “emotional” scenes between Marlon and his sick wife, Morales instead prudently opts to keep those scenes at a minimum, just enough for the audience to get the point, and instead fills the film with suspense and anxiety. Despite dealing with a hostage situation, and having many action elements, this certainly isn’t an action movie. Morales doesn’t rely on flashy car chases or gun fights to maintain tension, rather it’s built through the grittiness of the story, which makes the film all the more powerful. There are images in the film that are difficult to stomach. The dispirited faces of a room of young girls forced into prostitution are so heartbreaking that they stand alone, without gimmicks or cheap attempts to increase their impactfulness. Cinematographer Sung Rae Cho tactfully emphasizes the vulnerability of the situation, and deserves immense credit for the way he captures such a powerful scene that evokes strong empathy. The desperation rises throughout in an extremely natural arc. While the story does have slight jumps at times, the linear progression is effective and believable. We’re pulled along on Marlon’s horrifying ride, and the vulnerability Reyes so deftly shows is enough to leave the audience feeling as despondent as Marlon does. Reyes’ performance carries the film from start to finish. Not that any of the performances are weak, but Reyes stands head and shoulders above the rest. His pain is conveyed to the screen so well that it’s nearly impossible not to be scared when he’s scared and to cry when he cries. In addition to Reyes, Dido De La Paz stands out in his role as Detective Ramos, a character who shows that just because a cop is corrupt, doesn’t mean that cop is bad. De La Paz very effectively shows the turmoil of a man conflicted between what is right and what pays. A few characters could’ve been fleshed out a bit further, mainly Chango’s wife, but on the whole, all the characters are well-written, well-established, and well-acted. The film raises a lot of moral questions, but one seems to rise about the rest. Does saying nothing make you as responsible as those committing heinous acts? It seems Morales would say yes it does, and that message is woven through the story in an effective, yet not overbearing way. Graceland certainly isn’t a light film. It’s bleak and full of hopelessness. But it tells an intriguing story, full of moral questions, and tells it in a way that is extremely suspenseful. Add in a memorable performance from the lead and it makes this a very, very good movie that is definitely worth watching. GRACELAND is available on VOD and in theaters. Check out the film’s official website to find a screening near you.